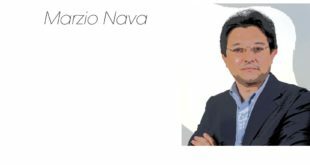 Fifty years of achievements of this constantly growing company based in Milan translate to the distribution of their machines to more than 150 countries. 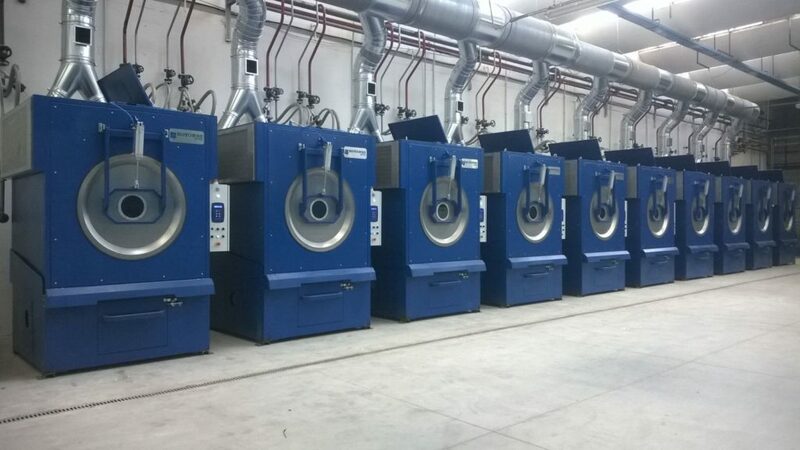 Rotondi group supplies industrial laundries, hotels, hospitals, horse stables, sports associations, communities and institutions. T-shirt worn by a Scottish college student all have something in common, namely: they have been washed and ironed by Rotondi Group laundry machines. Their vast range of clients include industrial laundries, hotels, horse stables and sports associations as well as communities and institutions. The actors and the clothes can change an hour before or three hours after the show. Yet, the “synchronicity” of the scenes on a shared screen as if we were watching a video clip, highlights the characteristics of this brand and unites the four characters: it is Rotondi Group. The business started 50 years ago from an excellent position – still uncontested – in the ironing business. 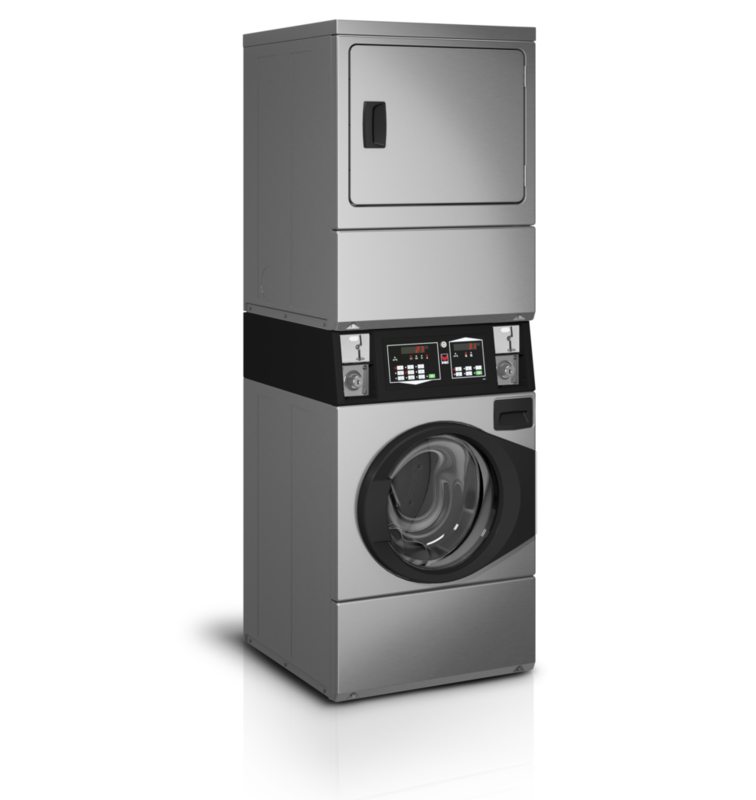 They produce and sell laundry machines all over the world offering a complete laundry service: washing, drying and ironing. Their authority in the sector is so well consolidated that when the Quirinal Palace in Rome faced the problem of ironing of the Italian flag waving outside the residences of the President of the Italian Republic, the task was assigned to Rotondi Group. The choice was due to the technology, prestige and specialized work force that the business offers. Rotondi’s advert slogan reads “A Step Ahead” which reflects their company mission perfectly. The figures can help understand such a “central” role. Starting from Rotondi’s headquarters in Settimo Milanese with their 10-thousand square meter advanced plant where they manufacture large volumes of ironing machines for form-fitting garments together with industrial ironing machines, flatwork and terry folding machines. The space is very large and structured ergonomically for the integrated manufacturing of each piece, from CAD design to automated assembly. Such an enormous production space reveals other important figures, e.g. 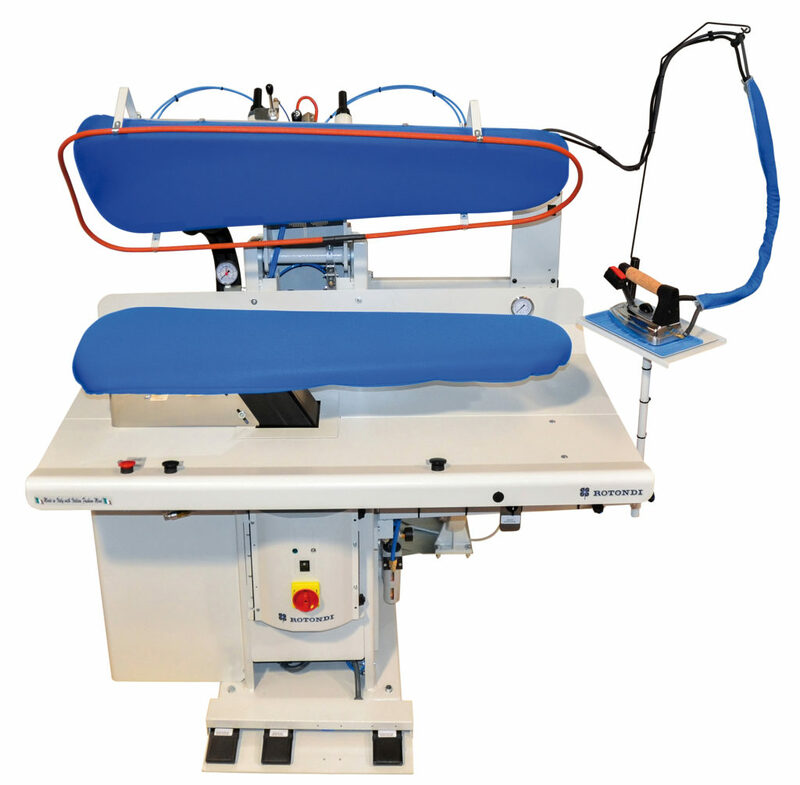 800 types of ironing machines, vacuuming tables and automatic presses. 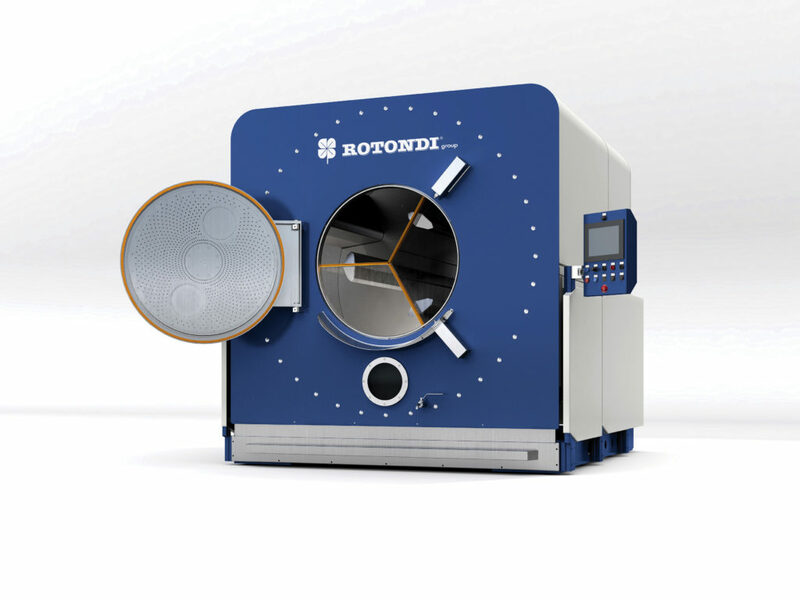 Another impressive number comes from Rotondi’s distribution line managed by representatives in 52 different countries but reaching 150 countries on the whole, on five continents. 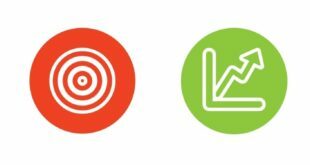 The numbers tell us that the images we started with are not just simple commercials but a credible simulation of reality. All the impressive figures by this great, global brand include Rotondi becoming an exclusive importer of Ipso for Italian market, a prestigious brand by an American group, Alliance Laundry Systems (we will come back to this later on). Once again, “A Step Ahead”. Finally, following the inclination to obtaining excellent results mentioned before, Rotondi Group opened, at the beginning of this year, a subsidiary-showroom in Rome in Sant’Alessandro Street. It will undoubtedly enrich the company’s identikit while preparing to exhibit its products at the upcoming Host, the International Hospitality Exhibition scheduled in Milan for 20 to 24 October. It is difficult to imagine a better location than Host for Rotondi Group. The participating tourist sector businesses – no difference whether big or small – have been united by a consolidated relationship with companies that possess ideal characteristics to be able to interact with any type of a business whether it is a small resort in Provenza, a restaurant in Colli Romani or a hotel in Acapulco. It is a question of both technology and the market. 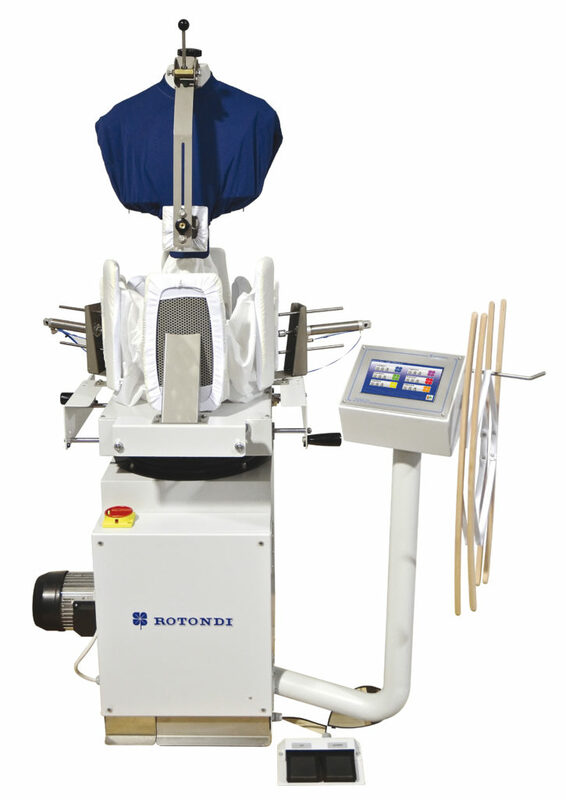 Initially, Rotondi Group started in the laundry sector in parallel to the clothing sector providing big brands and small artisan businesses with a complete and differentiated range of ironing machines for the finishing stage of products for boutiques and shopping malls. To finish a men’s jacket alone, the variety of functions the machines are equipped with start from pocket welt and flap ironing, edge seam opening to shoulder pad fusing. These are only some of the possible options according to Rotondi’s “encyclopedic” vocation that obviously extends to other types of garments. Rotondi’s know-how applied to garments treatment combines with the capacity of quickly intercepting any possible request coming from a laundry in terms of “a complete service”. This includes crucial finishing operations that highlight the “cleanliness” and allow for delivering “as good as new” garments to their clients. 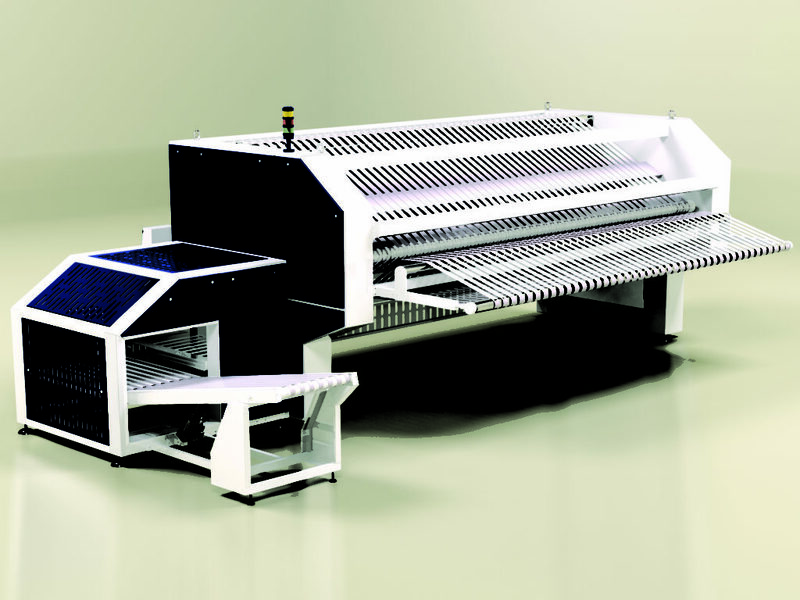 It is not a coincidence that Rotondi Group exports flatwork ironing and folding machines all over the world – machines that combine ironing and folding functions – as well as a vast range of folding machines designed for treating cloth napkins, towels, terry towels and covers. 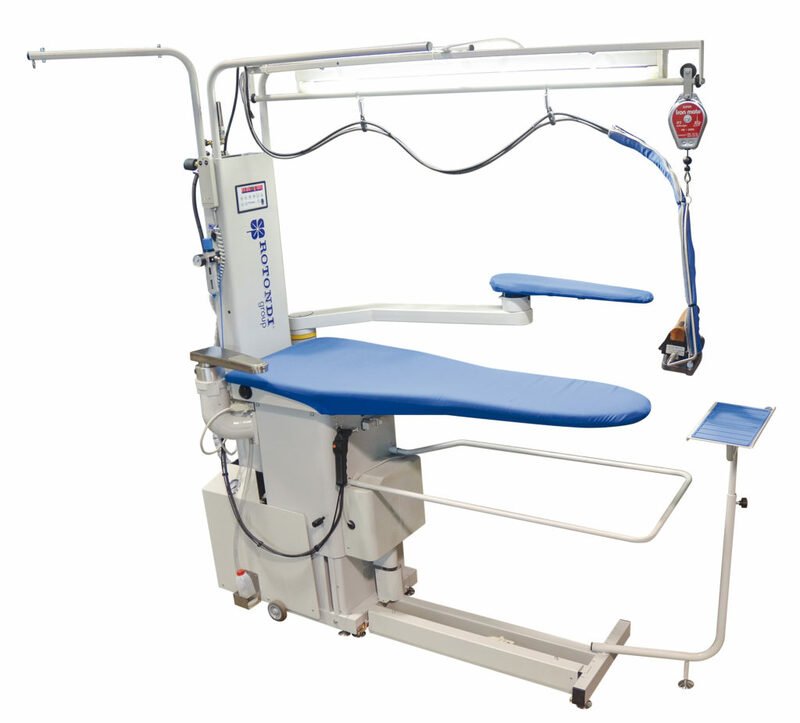 The company exports renowned, highly technological ironing machines, a vast range of washing machines, also available with an incorporated ozone function treatment for those who choose to obtain luminescent, white tablecloths or bedsheets. 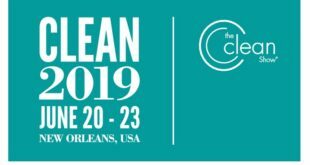 Another important “parabola” thanks to which we can focus on the success of Rotondi Group in the global laundry market concerns the “casual” wear sector. Obviously, more than ten years’ experience in servicing the “pret-a-porter” fashion world has allowed the company to become an ideal partner of laundries, spread everywhere but mostly in the Far East, that collaborate with third parties treating jeans and denim garments before passing on to the final finishing garment stage. It is another example of how half a century of history and development confirms that the intuition of Pierfrancesco and Eugenia Rotondi who founded the company, was right. Today, their sons Andrea and Davide work by their side. 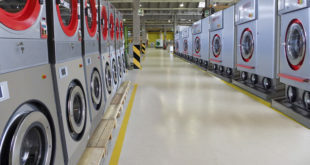 The market itself proved that, too, the moment in which Alliance Laundry Systems, an important multinational group, chose Rotondi as an exclusive distributor of an absolutely excellent brand, Ipso in Italy. Ipso’s highly technological washing machines and driers, ideal for medium-small laundries, translate to an integral coverage of Italian laundry sector. The guarantee is provided by an excellent and renowned Customer One program used by Ipso to support its clients during the entire life cycle of the machines. Consequently, a sudden growth has also been registered in self-service laundries sector, traditionally American style. 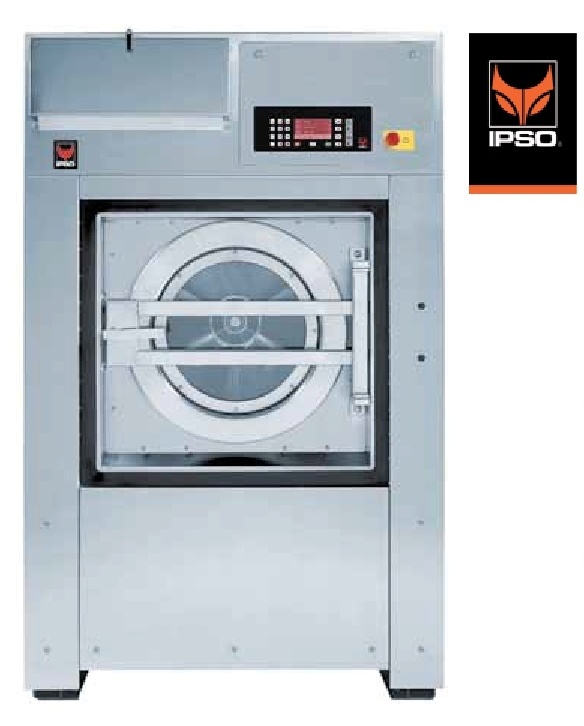 Again, “A Step Ahead” that Rotondi Group takes and presents Ipso catalogue together with their own vast range of high spin washing machines and driers, often over a 100 kg loading capacity, destined to artisan and industrial structures.